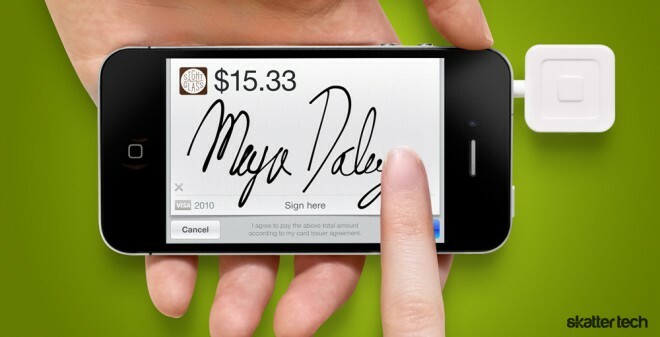 Square first made a debut last year and began revolutionizing mobile payments. For those unfamiliar, this little card reader paired with an Android or iOS app lets anyone with a compatible smart phone accept credit card transactions on the go. The company takes away 2.75% per transaction and the rest ends up in your bank account at the end of each business day. Although there was much speculation regarding Square after some temporary setbacks and delays when it came to shipping out card readers, the service continues to grow faster than ever. The latest blessing came just a few days ago as Apple choose to begin offering these in their retail and online stores. Although Square ships a unit out for free once a user downloads and installs the app, those who need one immediately can head to an Apple Store to pick one up. It will run you $10 upfront, but Square will issue a full $10 credit when activate your account. Mobile payments are becoming quite popular among the tech savvy, however still relatively unknown to most consumers. With support from Apple, this service will definitely get a major credibility boost and sign of approval. It would be definitely interesting to see if Apple switches over to Square when it comes to charging for goods sold in their own retail stores which currently rely on a proprietary solution. Competing solutions such as Intuit GoPayments are finally catching up by dropping monthly fees and offering free hardware, but Square remains an excellent choice for both occasional and regular users. For instance, I just used it last week to collect money from a friend since the restaurant would not split checks. It can also come in handy when selling something on Craigslist. Square is compatible most types of credit cards including Visa, MasterCard, American Express, and Discover. For those who distaste the white card reader, Square just began offering a new black model too.